The BBC has released all four episodes of The City and The City on the BBC iPlayer service. They aired the first episode in the traditional manner last night. 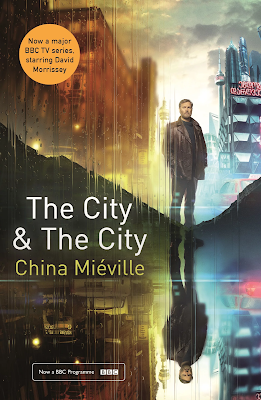 The BBC's impressive adaptation of China Mieville's novel has already picked up strong critical reviews, although some casual viewers were apparently confused by the bewildering premise of two cities built around and through one another where the citizens of one city cannot "see" or interact with those of the other on pain of arrest, which makes the investigation of a cross-border murder a complex affair. Any word on when it'll be released in the US?